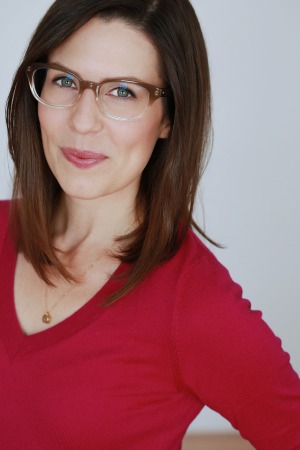 This Week’s Kool Kat of the Week, award-winning playwright Lauren Gunderson hails from Decatur and joins a cast of fantastic local writers and performers at the 2017 Essential Theatre Play Festival, running through August 27 at the West End Performing Arts Center. 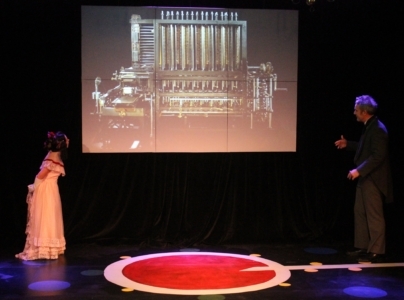 Her Victorian-era play ADA & THE MEMORY ENGINE depicts the life and times of mathematician (credited as being the first computer programmer in history) Ada Byron Lovelace takes the stage in all its wounded, beautiful glory (schedule of performances here). In addition to Gunderson’s play, performances at the festival also include 2017 Essential Theatre Playwright Award winner G.M. Lupo’s ANOTHER MOTHER, and Dad’s Garage company member and writer for Turner Classic Movies, John D. Babcock III’s one-man show about legendary actor-director John Cassavetes, INDEPENDENT. 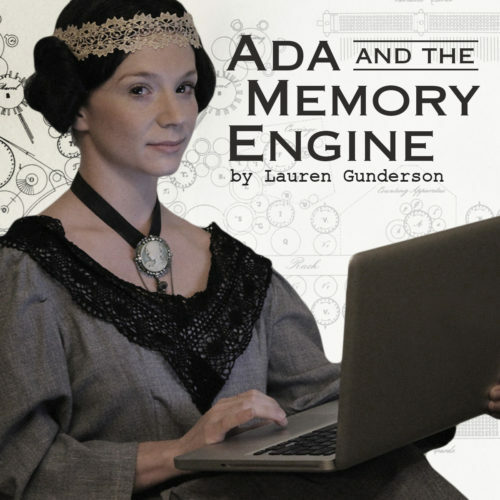 If you love history, science, and formidable women, come on out and catch a glimpse of Gunderson’s lively portrayal of Ada Byron Lovelace, one of history’s forgotten gals of science, while supporting your local theatre! Gunderson, named by American Theatre Magazine as the Most Produced Living American Playwright of 2016 hails from Decatur and has rejoined her Essential Theatre family with the East Coast Premiere of her homage to the forgotten women of science, ADA & THE MEMORY ENGINE, directed by Essential’s Ellen McQueen, and starring Ashley Anderson as “Ada,” Mark Cosby as “Charles Babbage,” and Brandon Partrick as “Lord Lovelace.” Gunderson’s writing career began to take root with her first play, Parts They Call Deep, winning the first Essential Theatre Playwriting Award in 2001, followed by her second ETPA award in 2004. She went on to procure other envied awards including the Steinberg/ATCA New Play Award, Aurora Theatre’s Global Age Award, the Eric Bentley New Play Award and the Dramatists Guild’s Lanford Wilson Award. Gunderson continues her prolific writing career, spinning tales for the stage and in the pages of children’s books (Dr. Wonderful and Her Dog: Blast Off to the Moon!). Atlanta will have the opportunity to experience more of her works in the coming months at Theatrical Outfit and Synchronicity Theatre, which if they’re anything like ADA, we at ATLRetro be dying to catch them! We caught up with Gunderson for a quick chat about her love of writing, what draws her to the forgotten women of science, and coming home to her Decatur/Atlanta roots. ATLRetro: You hail from Decatur. Was there anything you did while growing up here that fed into your ultimate career in theatre? Lauren Gunderson: I was lucky to be in the care of some amazing theater teachers both in theatre and in the sciences. In high school theater I was lucky enough to play roles in some of the best literature there is, Tennessee Williams and Shakespeare. Lynn Hosking, Peggy Hasty and Olivia Roller allowed me those chances to be onstage and I’ll never forget it. Performing those plays gave me the kind of intimate relationship with good writing that would lead me to having a single clue as to how to write a good play. One of my favorite teachers was Joe Winterschiedt who taught physics at Decatur High. He was such a jubilant and creative science teacher and he opened the door to my understanding that science isn’t just memorizing equations and facts; it’s a completely creative and transcendent approach to knowing and proving what’s true. These are the stories I most often tell in the theatre, the stories of great moments in science, of discovery, of the tough and exciting quest for real truth. Your first professional play, “Parts They Call Deep” won the Essential Theatre Playwriting Award in 2001, when you were just 18, and you won again for BACKGROUND in 2004. Of course, you went on to win many other awards, but what was it about Essential then that helped nurture you as a beginning playwright? They gave me my start as a playwright. I didn’t even know if I’d actually written a play until I gave it to Peter Hardy and he said, “It is a play AND it won our new award for Georgia writers!” I’ll always credit Essential Theatre as giving me the boost, the confidence, the experience and the first professional production of my career. What is it like being back at Essential now. How did this production come about and what’s it like to work with Peter Hardy, director Ellen McQueen and the rest of the company? It’s an honor. I’m so proud to be in the Essential family of artists. I was working remotely with most of the team because I live in San Francisco. But I have a contingent of Atlanta friends and family who always come to see my work. (Hi MoBo moms! Hi Oakhurst Family! Hi Emory!). How did you become interested in Ada Byron Lovelace and what about her made you think she’d be a great play protagonist? We are in the age of tech and she started it! Hers is an amazing story for me to tell because of the convergence of art and science that swirls around her history. He father was the great poet Lord Byron, her mother was a mathematician and the company she kept included the greatest minds in England. She was a visionary, a rebel, a feminist before feminism, and a woman of passion and skill. She’s also deeply flawed and broken. That makes her a great human to build a story around. 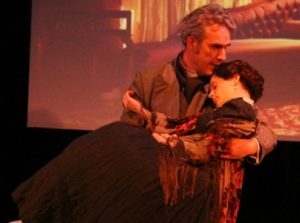 What research did you do to write the play? Were you surprised by anything you discovered about Ada? The most fun I had while researching was visiting the Computer History Museum out here in Palo Alto, CA, where they have a working full-scale model of Babbage‘s Difference Engine (his calculator). They actually run it once a day out here and it’s a sight to see. It’s as tall as a bus and about 10 feet long. The clanging and clacking when it’s calculating is mesmerizing. I took video. So cool. Check out the video here. Also the wonderful spirited repartee between Ada and Charles Babbage. How much of that comes from their letters versus your imagination? When and where was the play first produced? Any anecdote about that production? I wrote it for a company here in Berkeley called Central Works, for my friend and actor Kat Zdan as “Ada” and Kevin Clarke as “Babbage.” It was a dream to write for them and a wild process putting the play together. Much like Essential’s production, the premiere was a small company, a simple production – very intimate. I think the play works well like that. But the premiere had only 4 actors and Essential is doing it without doubling – a larger cast, a bigger landscape of characters. The original song sung in the play was written by the incredible band The Kilbanes (Kate Kilbane and Dan Schlessinger). They wrote something magnificent for the show – mathematical, moving, soaring, sad, and beautiful. I’m so impressed with it. I sing it to myself often. You can hear it on the tumblr page here. Without giving away spoilers, Ada’s “reading aloud” of “She Walks In Beauty” frames the play. Why this particular short work rather than another of Lord Byron’s many poems? This was the first Byron poem I remember and it still haunts me – the elegance, the meter, the imagery. I find it terribly romantic. What was the most challenging part of writing ADA AND THE MEMORY ENGINE? The ending. Even though the final scene was the first one I wrote, it asks a lot of the actors, the play, and the audience to go with me. But I think it surprises you and deepens the story beyond where you might think it could go. Do have a favorite scene, either that was fun to write or that when you see the play performed, you are especially delighted by? I love their fight at the beginning of Act 2. It’s so great to see the actors let loose and get messy with their emotions. 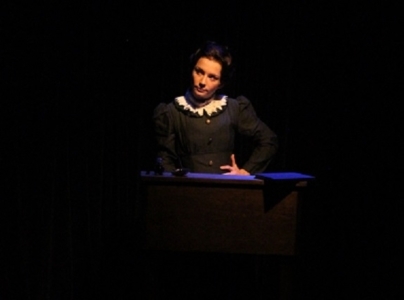 This isn’t your first play about forgotten women scientists. Who else have you written about, what draws you to this theme, and will there be more in your future writing? I write a lot about science and particularly women in science. Partly because GO LADIES OF SCIENCE! And partly because there is inherently more struggle in a woman’s story than in a man’s. The world is tougher for her – it’s biased, it judges, it wants her to fail. That’s even before she gets into a male dominated field like tech or the sciences. More struggles mean more obstacles mean better drama. It’s hard to earn a living as a playwright (or as a writer in general) but you were dubbed the Most Produced Living American Playwright in 2016 by American Theatre Magazine. What’s your secret and do you have any advice for young playwrights? I write a lot. I write fast. That is, in no short order, why I’m on that list. I love to write, I love figuring out the way a story works. Writing is like solving a mystery or cracking a puzzle. I love the work, which also means I do a lot of it. If you want to be a playwright, see a lot of plays, read about dramatic structure, and write every day. What are you writing now, or what was your last completed work and when/where can we see those being produced? Any more productions coming up at Essential or any other Atlanta companies? I’ve got about a thousand things going on including raising two kids and a cat. I am overjoyed that Theatrical Outfit is producing my play MISS BENNET this holiday season, co-written with Margot Melcon. And then Synchronicity Theatre is producing a wild, southern, political feminist farce, THE TAMING next June. Yay plays! I am so grateful to the Atlanta theatre community. It’s so rich with talent! Also my children’s book Dr. Wonderful and Her Dog: Blast Off to the Moon! just came out. It’s about a little girl scientist/adventurer and is pretty awesome with gorgeous illustrations. The Little Shop of Stories has signed copies in Decatur. What’s your favorite thing to do when you come back to Atlanta/Decatur, and why? Eat pimento cheese on the porch of my mom’s cabin in the North Georgia mountains, visit The Little Shop of Stories in Decatur to buy books for my boys, visit with friends and drink wine at Donna’s house, see some plays, walk the Highline, hug my friends at Oakhurst Baptist Church. Photos courtesy of The Essential Theatre and Lauren Gunderson, and used with permission.